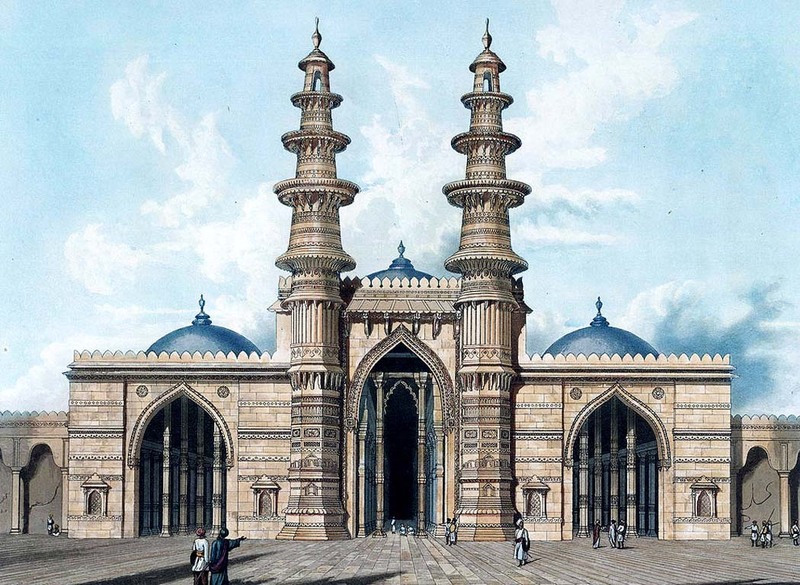 Also known as the Shaking Minarets, they are playful but with a whir of quivering mystery. They have left the best of architects and pioneering design engineers intrigued and in unresolvable wonder. What they cannot unravel is when one minaret is shaken the other begins to vibrate, though the connecting passage between the two remains vibration-free; what causes this vibration is unknown. 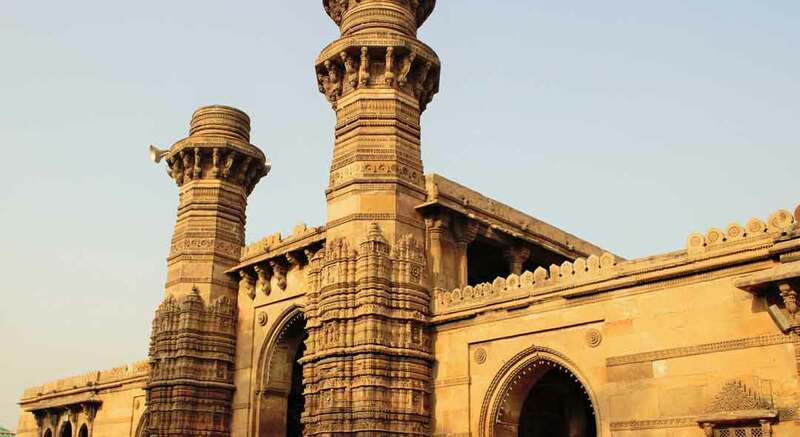 There are two well-known pairs of Shaking Minarets in Ahmedabad, one located opposite the Sarangpur Darwaja and the other near the Kalupur Railway Station Area. 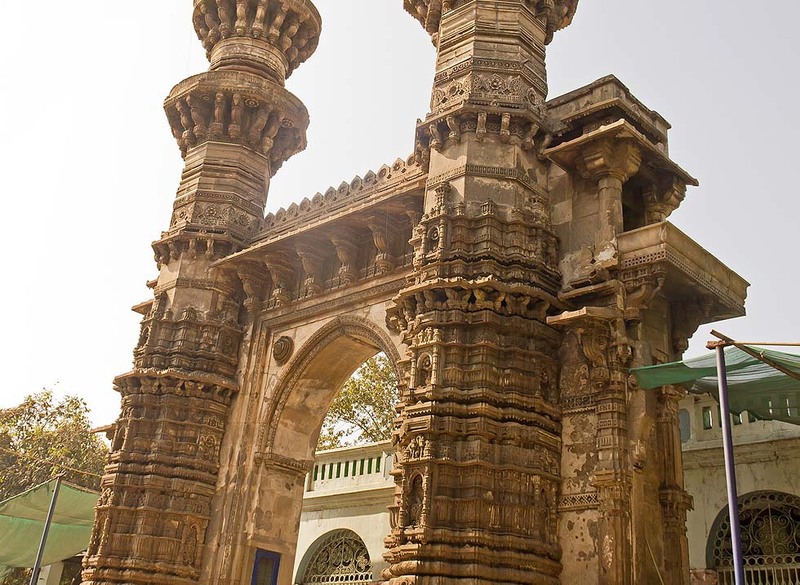 The one near Sarangpur Darwaja is within the vicinity of the Sidi Bashir Mosque built in 1452 AD by Sidi Bashir, a slave of Sultan Ahmed Shah. They are three storeys talls with carved balconies where visitors were once allowed to climb all the way up. The other set of minarets near the Railway Station is taller in height. However, these are not in a very good condition as it is believed that the British had dismantled them to understand the cause of vibrations. They could not resolve the engineering and it was not possible to put them back in their original condition. Demonstrations of the minarets shaking or vibrating are not carried out anymore.